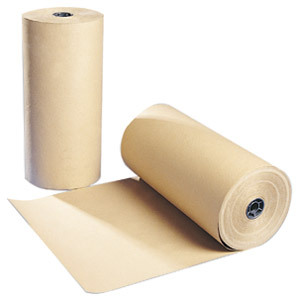 Kraft paper is a 100% biodegradable natural product. The pulp is made from long virgin fibres of maritime pine and is not bleached, to ensure minimum chemical processing and to retain the wood's natural colour. Kraft paper biodegrades entirely naturally. Just like the leaves from the trees, kraft paper decomposes naturally within a few weeks, returning to its initial form of cellulose fibres, which can be fully assimilated back into its original natural environment, with no adverse impact on nature or human health. Kraft paper weight to thickness comparison chart. What's the Least Biodegradable Form of Packaging? Today’s world has created a new generation of packaging materials that are focused on eco-friendliness and recyclability. The reality is that most products that you can use for packing today are going to be recyclable to some extent. However, there are still forms of packing materials out there that are not as friendly and that will take forever to biodegrade. Even with all of the recent advancements in technology, there are products that are going to be the worst to use for packing in terms of biodegradability, and you should be aware of them so that you can reduce your impact successfully. Even with recyclable materials and improvements in eco-friendly packaging, plastic still remains the least biodegradable product that you can buy. There are plastics that are recyclable and biodegradable, of course, but they have to be disposed of properly. In the event that these products are simply sent to the landfill, they will still take years and years to completely degrade and become a part of the earth. Paper and cardboard packaging supplies are much more biodegradable and eco-friendly regardless of how they are handled. If you are truly in need of plastic or other chemical-based packing materials for your shipments, you should ensure that you use them sparingly and recycle them accordingly to get the most out of your packing and shipping. Plastics have always been a constant source of debate. While air bags and plastic materials used for packaging are a great way to protect shipments and keep things safe, they are also going to take up valuable space in landfills and won’t break down as quickly as other materials that are available for packaging in today’s world. It’s always important to think about what you are shipping and which materials will be the most protective as well as the most eco-friendly so that you can reduce your impact on the planet. With so many different packaging materials out there to choose from, it isn’t difficult for you to find materials that will suit your needs. Whether you need a lot of materials to protect your items or just something unique that allows your items to stand out, you can find plenty of solutions that are eco-friendly and biodegradable. If you are going to use plastic, make sure that it can be discarded accordingly or that it has a high biodegradability so that you aren’t using materials that are harmful to the environment.